A bright blue-green tint caught my eye. 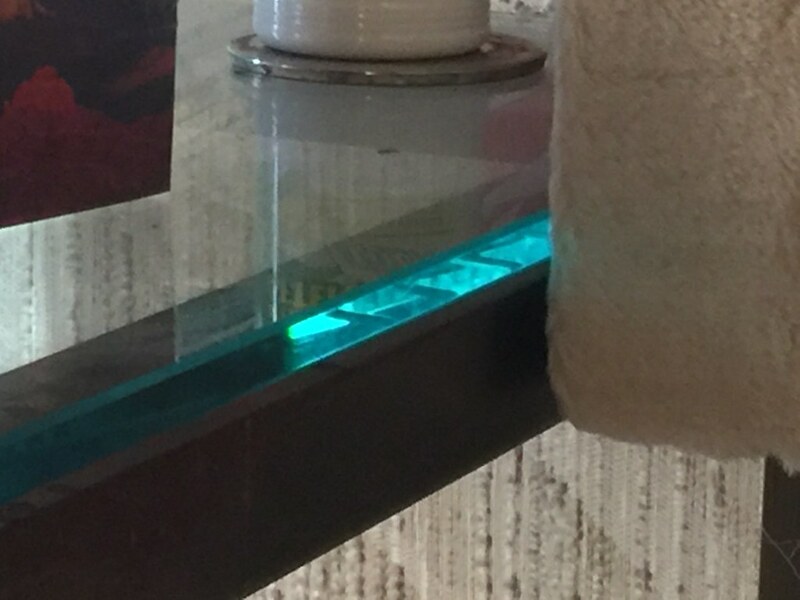 This is the edge of a glass table top. The faint vertical bands within the light band are from the stripes of the curtains in the early morning sun. Sunlit curtains are 90 degrees to the left and way outside the iPhone field of view. They’re being transmitted horizontally through the glass. Kind of a crude demonstration of fiber optics transmission using a whole plate of glass instead of a bundle of fibers. Click image to see full author credits, image information and comments on Flickr. This entry was posted in General, Photos by Alex and tagged Abstract, Optics, Science by Alex. Bookmark the permalink.